For warm climate wear year-round, Aravon's "Candace" open-toe sandal comes in ivory, too. It is made with three adjustable leather foam-padded, leather-lined straps and has a removable footbed of cork, EVA and Memory Foam. 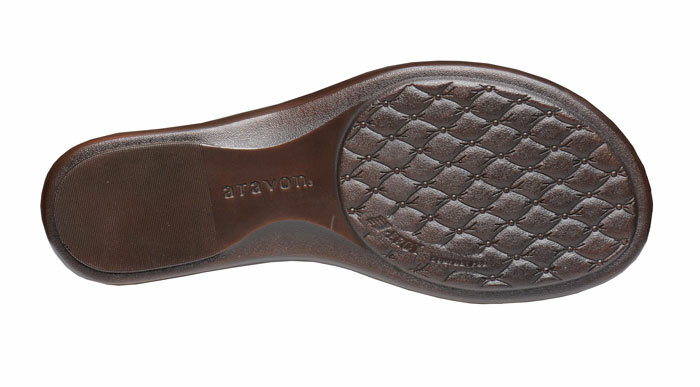 Flexible polyurethane cushion outsole with 15/8 inch heel. ON SALE! Originally $134.95. Limited sizes in women's 2E width.